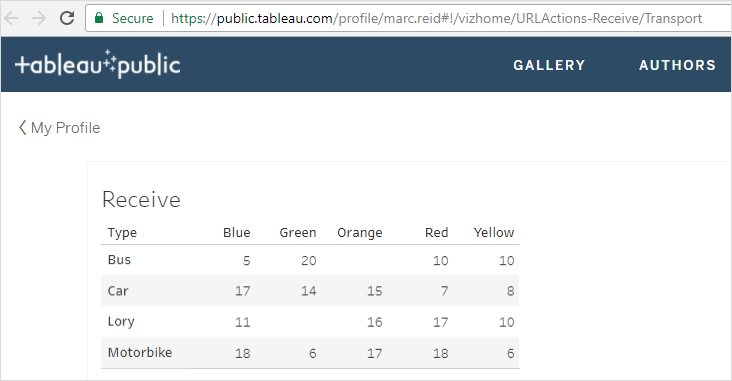 This post will look at some examples of the above and provide links to published dashboards on Tableau Public where you can test out the functionality. 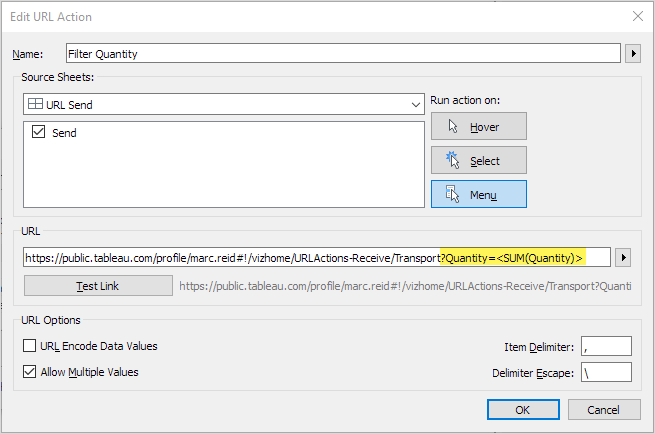 But first let’s break down the structure of a URL that points to a published Tableau workbook. If you have any spaces in your file name or dashboard name, these will be removed in the URL. I’ve uploaded two simple workbooks to Tableau Public that will be used throughout this blog post. One for sending URL actions and another to receive those URL actions. I’ll use the URL of the published Receive dashboard as the target for a URL action. 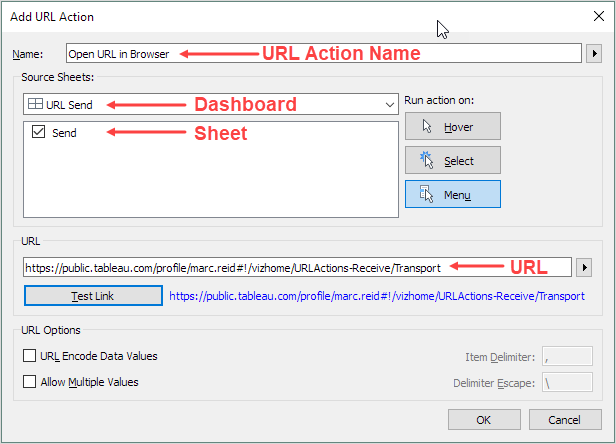 Give a name to the URL action and select the Dashboard and Sheet that the URL Action will be triggered from as well as which method to trigger the action – in this case I’m using “Menu”. Finally paste in the URL of the dashboard that you want the URL action to open. 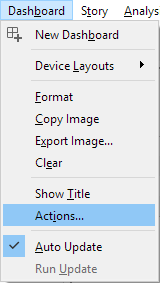 For the method of how the action will be triggered, I’m using Menu, which will add a link to the tooltip. 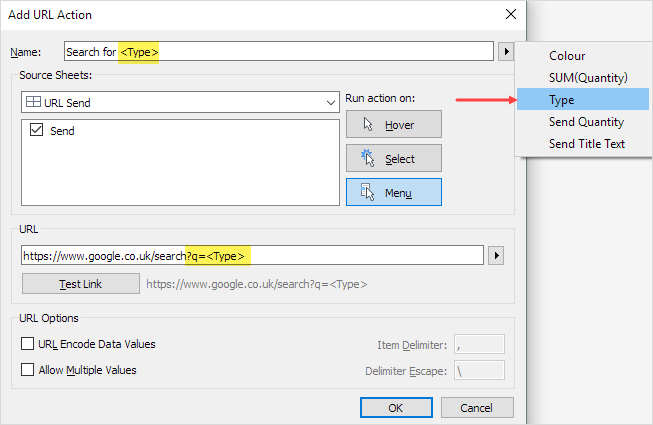 Using Menu allows for multiple URL actions to be shown and clicked on separately as we’ll see later. The link text is the same as the URL action name I entered when I created the URL action. 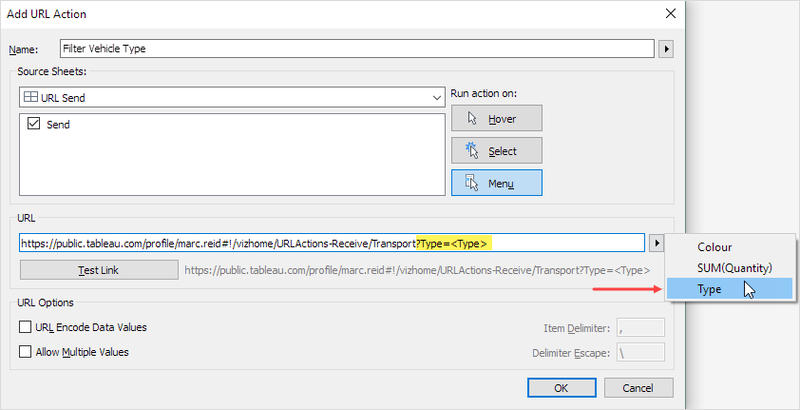 Clicking this link will again open the dashboard in Tableau Public that is specified in the URL. The next step is to make the URL action more dynamic by passing filter values to the destination dashboard based on what we select in the sending dashboard. Note, I’ve set the sending and receiving dashboards up with the same structure for simplicity, however, they could be completely different dashboards as long as there are matching values in the selected sending and receiving fields of each dashboard. 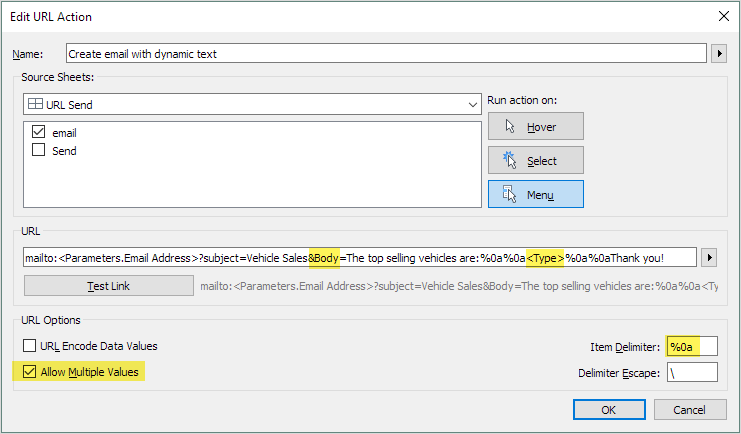 I’ll create a URL action to filter the receiving dashboard to the selected vehicle Type. 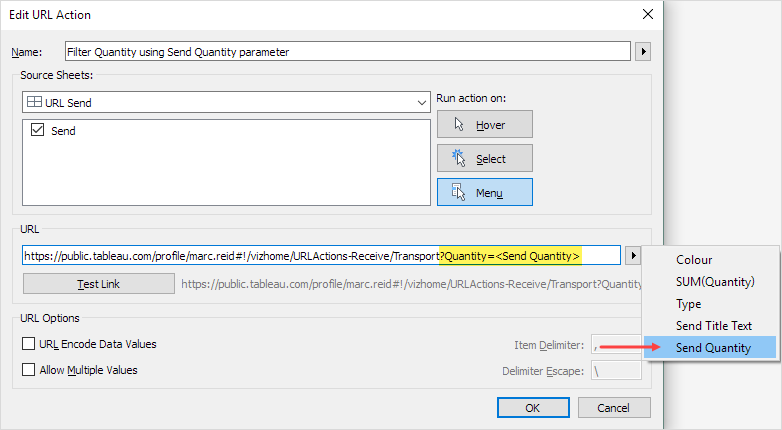 The action is created the same way as before, but I’ll add a URL parameter at the end of the URL, which passes a filter value to the receiving dashboard. 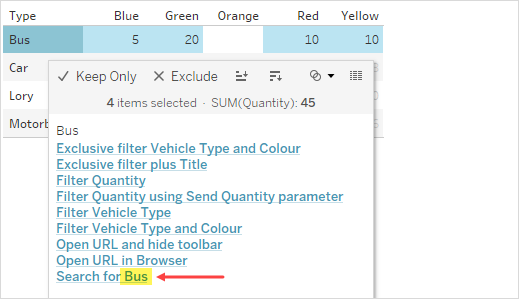 Although I clicked on the value for orange lorries, values for all lorries are shown as the URL action does not contain a filter for the colour field. 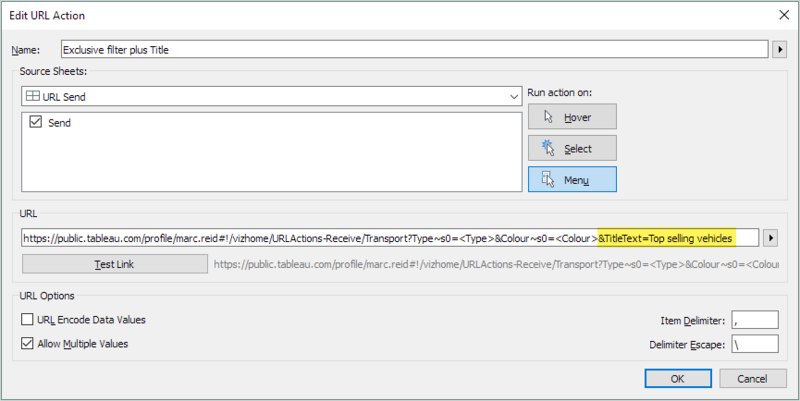 Let’s create a new URL Action to filter both Type and Colour fields. Note, the fields shown in the drop-down list on the right-hand side need to be present on the source (sending) dashboard to show up here. This ensures that they contain a value that can passed in the URL action. Notice that the “Filter Vehicle Type” URL action is no longer in the list of links. This is because that action had not been configured to allow multiple values and we have now selected multiple values of the field Type (Bus and Lory), so this action is not valid in this scenario (as Tableau cannot determine which one of these values should be sent). 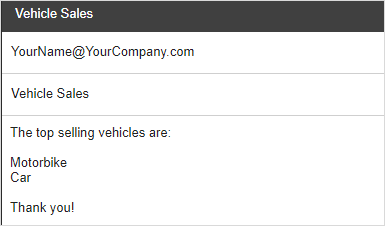 The Tableau parameter has received the value we passed it (“Top selling vehicles”) and this is now showing in the title of the worksheet on the dashboard. Note the spaces between the 3 words we passed have been replaced in the URL with the required URL encoding: %20. This happens automatically. Note, this action is not filtering on the Type or the Colour, just the Quantity measure. 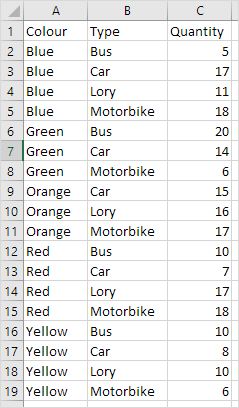 Therefore, all matching values of the measure (17 or 10 in this example) are shown, regardless of the vehicle type or colour. Note that “Allow Multiple Values” is not ticked. 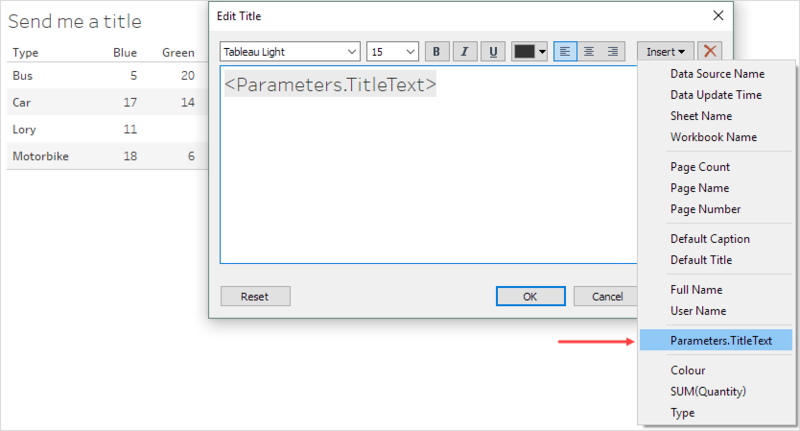 This is because we are not selecting multiple values in the source dashboard to send, but rather sending one single text string contained in the Tableau parameter, even though it may contain multiple, comma separated, values within it. :toolbar=top Move the toolbar from the bottom of the page to the top. You can also use “no” instead of “top” to not show the toolbar. For a complete list with descriptions, see this page. Note some of these may work differently on Tableau Public versus an in-house Tableau Server, so you will need to experiment. Andy Kriebel wrote a blog post on this functionality here. 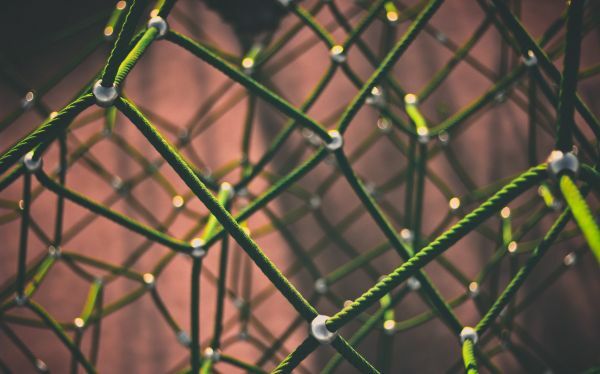 There is a long list of Q&As in the comments which gives more information and answers to common questions. Similar to the previous tip, to create either of these filetypes you just add the relevant extension to the end of the URL. Again, these don’t work on Tableau Public, but should work on your own Tableau Serer if you have access to one. Instead of having the email address be fixed, this could be populated from a Tableau parameter. 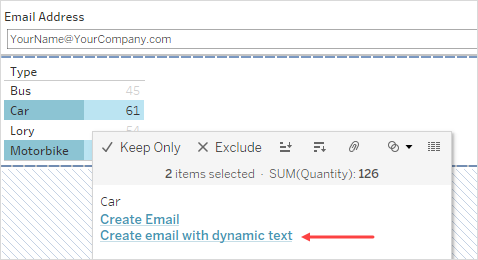 In the example below, I’ve added a parameter to the dashboard where the email address can be entered. Note, as I now have two sheets on this dashboard I have to select which sheet(s) will trigger the URL action. In this case I just want the email sheet to use the action so I have deselected the “Send” sheet. I can select anywhere in the “email” sheet to see the URL action link, which when clicked opens a web browser and creates an email in my email client (Gmail). If you were using Outlook, it would create a new email there. 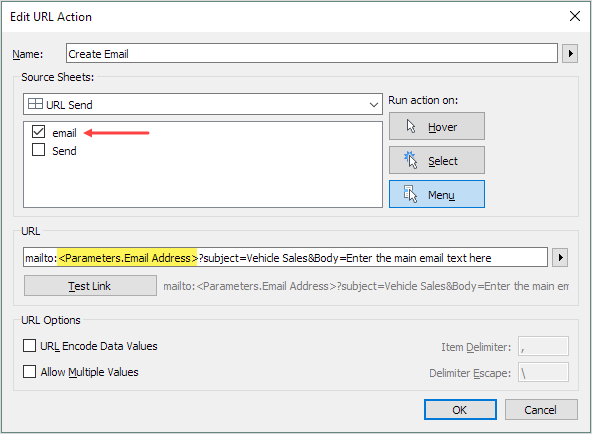 The email body could also contain selected values from the worksheet, for example, the below action will insert the selected vehicle types into the middle of the body of the email with text above and below those fields. Note, “Allow Multiple Fields” is checked and the “Item Delimiter” has been set to %0a which is the URL encoded character for a line break. Below are some reference pages for more information and to help problem solve when using URL actions. Too Good and useful information!! I had been searching for a place gathering all info about URL actions, this is the only one I have found on the web. Question 1. If I have two different data sources feeding the two separate dashboards, I would need to pass all relevant values as arguments from source dashboard to destination one right ? Question 2. In that case, how do we capture all the values of affected dimensions in that URL arguments from source dashboard ? Do you have any idea on what i should do to make this work? Any suggestion or information is much appreciated. Great Post! I have a question. I have an embedded tableau report in a reporting website portal. I would like to filter the embedded dashboard using the parent sites url (i.e. 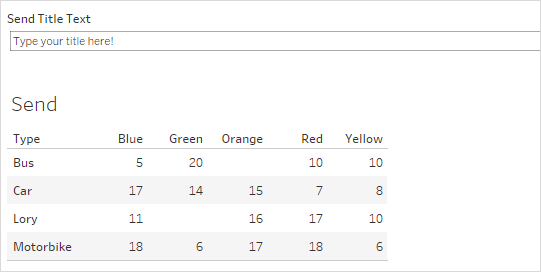 http://www.mywebsite.com/report?tableauparameter=value). Is there a way to pass a parameter in the parent URL like this? This is an extremely useful post with all details about URL in a single page, great job!